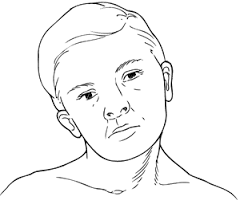 Acute wry neck, what is it? – Pain. Health. Exercise. Acute wry neck, what is it? As part of IASP’s ‘Global Year against pain in the joints’ campaign, I’ve decided to do up a short post on neck pain. Have you ever gotten one of these episodes in your lifetime? This is usually called ‘Acute wry neck’ and it is pretty common. It is usually the result of a stiff and painful facet joint in the neck causing a muscle spasm reaction that locks the neck to 1 side. How did I end up with an ‘injured’ facet joint after sleeping? We do not completely understand how an acute wry neck develops, but it seems to be commonly experienced by people after waking up from sleep. It might be related to an awkward sleeping position overnight, or it could be related to something that you have done the previous day(s) preceding to the onset of neck pain. The sleep overnight could be the period of time when inflammation in the joints set in. I’ve treated a client who had a wry neck after a neck manipulation by a traditional Indian barber! That was quite a scary experience for him! What is the outlook? Will I get better? The large majority of acute wry neck conditions almost always recover in about 1 week. Don’t worry! What is the recommended treatment for this condition? Different therapists offer different treatment solutions for the same problem. It is important to remember that most cases get better quickly without any treatment. Seek conservative treatment first. One normally gets less pain and increase in neck mobility faster. What if I still don’t feel better after 1 week of waiting, the pain and ‘locking’ is still the same as before? Please see a healthcare professional for an assessment. There could be other conditions that masquerade as an acute wry neck in the early stage. This would require some further checks and investigations to determine the likely underlying cause of your problem. If you like more of such articles, please refer to our website on The Sole Clinic for more blogposts on other conditions! Previous Post Atypical cases for physiotherapy.